strikingcommunications.com – Striking Communications is a multi-media, design powerhouse! We ensure your satisfaction with our creative service, attention to detail, and proven track record. We stand alone as a company, by driving results in a collaborative, customer-focused way, to transform your vision into a reality. Creation from the Imagination is a company that publishes books that are born from the concept of, telling a story through imagination. This series of books rely solely on illustrations, and therefore are literally books that tell a story without text. Creation from the Imagination “levels the playing field” between readers and non-readers by eliminating the text and tapping into the non-readers imagination, natural creative spirit, and story telling with imagery. Fine art work created by Allen Adon Jr.
We are a full-service, virtual, visual communications agency, headquartered wherever you are. Around here, we have renamed customer service to creative service. You want to reach your customer base, and we want to help you by providing the utmost creative and innovative tools and techniques available. However, sometimes a message doesn't need a technical solution, it needs a creative solution. That's what we are here for! We brainstorm with you and create a unique and visionary way to communicate your story.﻿﻿ We are a forward-thinking strategic visual branding, marketing, advertising, interactive, and creative design firm all under one roof! Your brand will have a larger impact with strategic, and streamlined thinking, in one strike!﻿﻿ Our team of strikers have created numerous award winning, integrated campaigns and products that leverage multiple creative strategies by combining them with advertising, creative design, and interactivity. 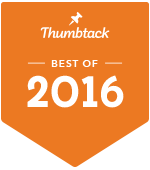 Awarded as the #1 Graphic Designer in 2015 and 2016 on thumbtack.com! We invite you to view our profile to find out why! We really appreciate the creativity, responsiveness and quality of work that Striking Communications has given us every time we work together! The pleasant communications and ease to work with are other reasons we choose to work with Striking Communications for our graphic design needs. Working with Allen was an amazing experience. I spoke with him yesterday evening about a design I needed ASAP. It was completed, paid for, and sent to me before noon today. He is very reasonable with his price, not to mention he delivers high quality work that impressed both myself and my clients. Allen is a talented designer, with an upbeat and customer-centered focus. He has a great manner with his clients and is always positive and speedy in the often back and forth process of graphic design. I had a particular image in my mind and he turned my often vague descriptions into the perfect vision of what I wanted, and he did it with humor. You will be making a very smart choice in choosing Alan and Striking Communications for your graphics needs. We originally asked Allen to design our logo. He listened to our ideas and incorporated them into several prototype designs. With feedback from us he nailed the design on the second pass. We were so happy we immediately contracted him to design our business cards and letterhead. Based on our experience we highly recommend Allen to assist in your design needs. I asked for assistance with the program brochure and poster for my wedding. I provided my colors and a very non-creative description of what I wanted and apparently that was all that was need to create the most beautifully and elegantly designed brochure and poster. I was very pleased and will certainly use them for any future design needs. I couldn’t be more pleased or impressed with the work of Allen Adon of Striking Communications. I am in the process of interviewing for a new job & was asked to provide a presentation to the executive team from the organization in which I hope will hire me. While the idea of the presentation alone was enought to induce heart palpitations, what was most disconcerting for me was the thought of formatting a creative, interesting, not to mention readable tool that didn’t incite “Death by Powerpoint!” No sooner had I posted an inquiry on Thumbtack when in swooped Allen, practically within the hour, to save the day! He asked a few questions regarding initial thoughts for content, the nature of the business, their culture, etc. & with those few details, created a phenomenal product with supersonic turnaround time. His pricing for the service was very competitive & the payment was reconciled by PayPal which made it very easy & convenient. As I began to really practice for the “Big Day,” I realized that I needed a few slight revisions & once again, Allen performed those with lightening speed. Should you be in the market for assistance with graphic design or other communication services, I wouldn’t hesitate to contact Allen from Striking Communications!